Ellis Autodrome has served Lethbridge and area since 1956. The automotive repair facility is owned and managed by Jack and Melanie Isaac and Craig Ellis, a team of car enthusiasts. Our goal is to provide our customers with service for all makes of vehicles. Ellis Autodrome specializes in Saab, BMW, Mercedes, VW, Audi, Volvo and LandRover with qualified, licensed mechanics ready to perform vehicle repairs and maintenance. Contact us to schedule an inspection or appointment. Ellis Autodrome was started in 1956 by Roy and Roberta Ellis. 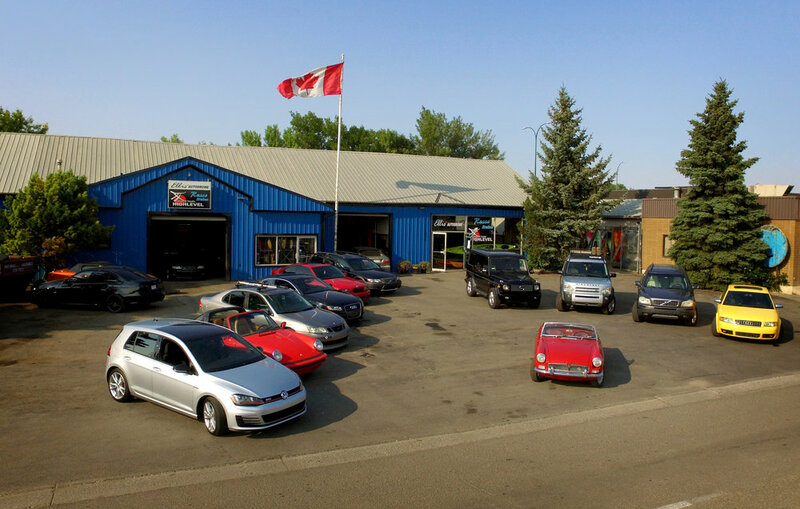 This family owned business has been at its current location 1805 - 2 ave south since 1973. All of our services come with the Ellis Autdrome satisfaction guarantee.